"In partnership with HBO and Game of Thrones, the Timberwolves will take place in a battle of the North on the 9th day of April and unleash the most powerful breed known to thee: the Direwolves. Their existence will be tested, the squadron will be challenged, but they will fight together with all eyes north. 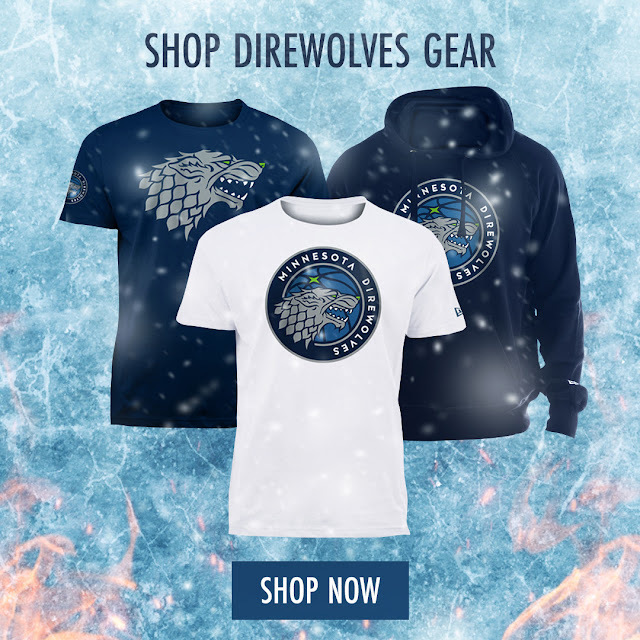 Rep the Pack and stand as a ruler of the realm with special Direwolves gear only available at the Timberwolves Team Store. This is #ForTheThrone! "